Raise your hand if you as a kid licked the filling off the cookies. And raise your hands if you still do it. I'm afraid I might be the only one raising my hand in the second category, so I better not ask that question. And in case you do, just let me okay? It would make me feel I belong here. Its very important question. But before you judge me, here's the thing. I don't lick any filling. I'm classy that way. I only lick fillings that are not clogging sweet. May be as a kid I didn't mind that, but as I have grown up ( in literal terms), I can't stand anything too sweet. Be it a cake, a cookie or a filling. That's a very good reason I don't really like frostings either. In comes lemon curd, lemony filling for my favorite coconut cookies. 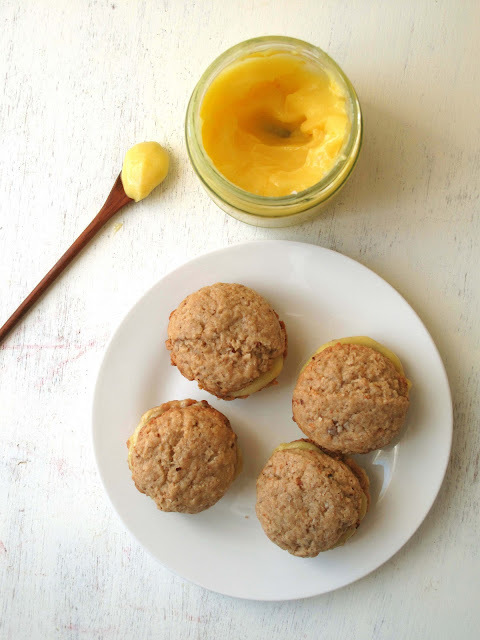 This is my go to coconut cookies recipe and while the other day I dipped fresh coconut pieces into fresh lemon curd, I figured I should make coconut cookies and fill them lemon curd for the holiday baking many of you are doing at the moment. In case, you don't like lemon in desserts (I raised an eyebrow at you, but I understand, sought off, no I don't understand, how can you not like lemon? 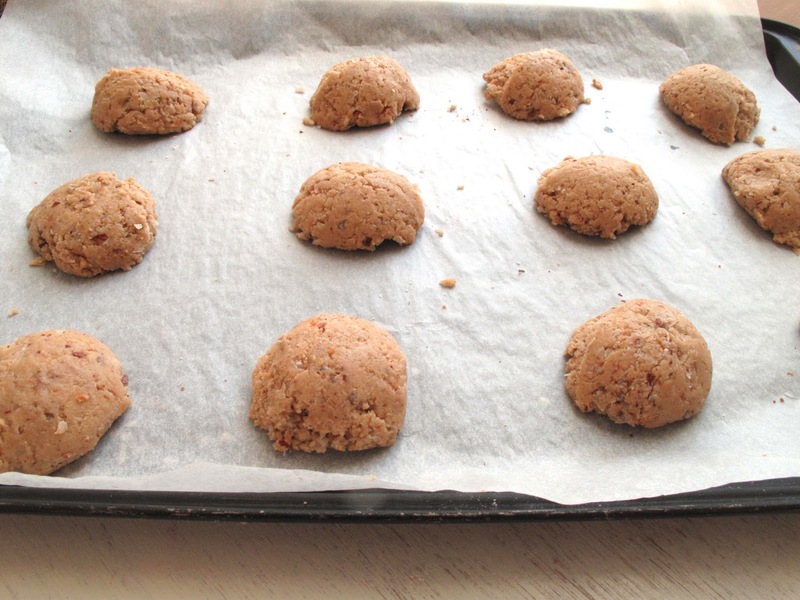 ), just make the coconut cookies. Everyone I have ever made the cookies for have loved it .They are thick and chewy at the center with a slight crunch on the edges. Thats how I define a perfect cookie! 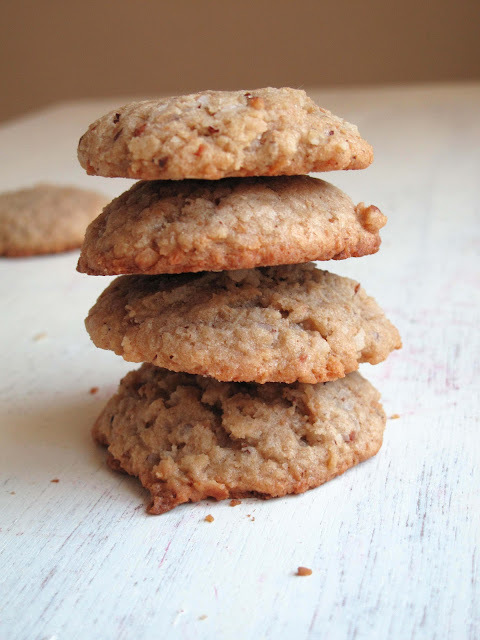 * I have always used freshly grated coconut for this cookies . 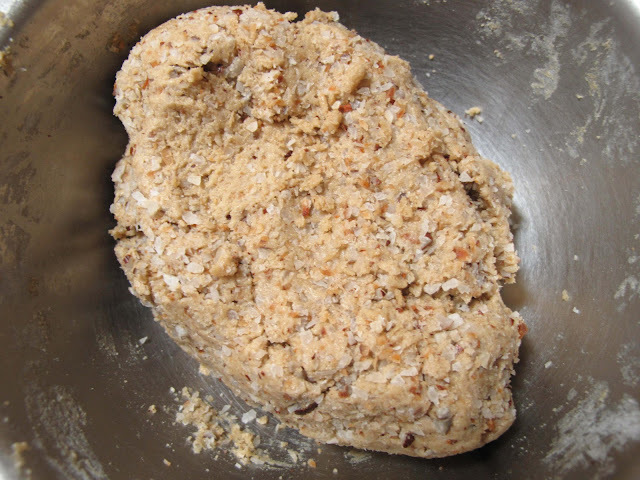 I pulse the coconut pieces in food processor with the brown skin. But in case you can't use that, packaged unsweetened shredded coconut works as well. 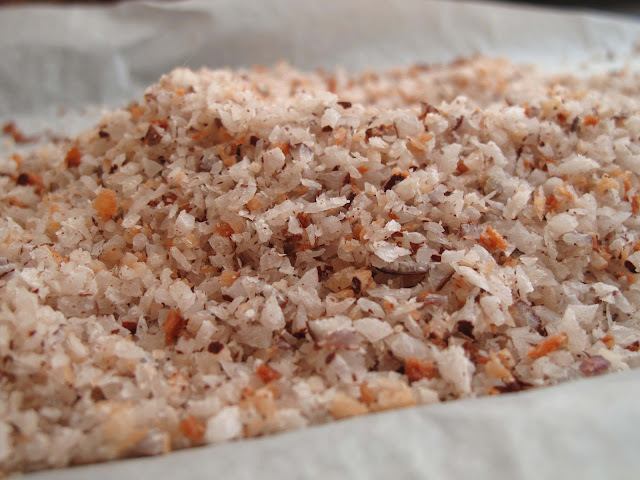 You can also use pre-toasted unsweetened shredded coconut, if that makes your life easier! But seriously, freshly grated coconut tastes so much better and the bonus, you can drink the soothing, cooling coconut water. ** So you see, vanilla extract is usually made with alchohol, so I have never seen it around here. I'm sure there is a non alcholol version of it but haven't seen that either.I sometimes use vanilla bean, but its not something I can always afford to have in the pantry. So, use extract if you have and I'll continue to shed tears here. 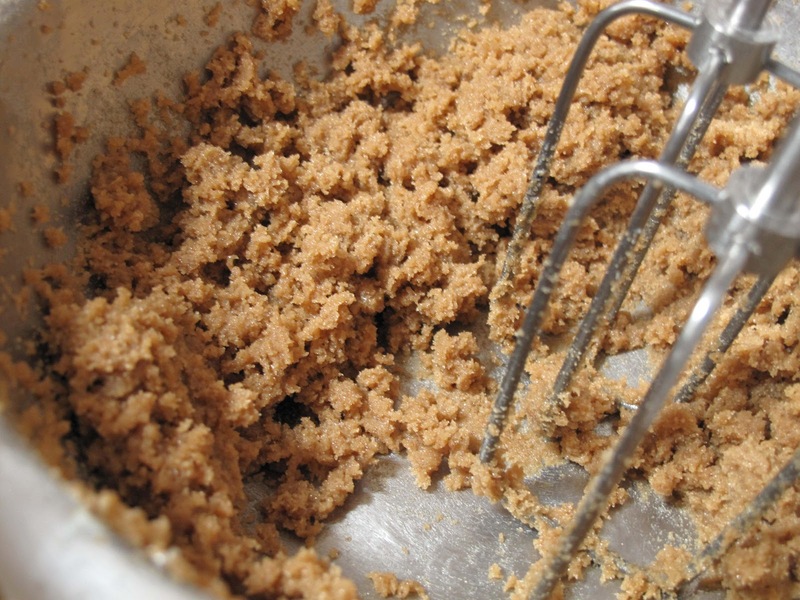 **** You can use any light brown sugar but I love muscovado. Preheat the over to 180 C. Line a baking sheet with parchment paper and spread the grated coconut on it. Bake for 5 minutes and then stir it around and toast for another 3-4 minutes. You want the coconut to be lightly golden. Mix flour, baking powder,cardamom and salt and keep aside.Cream together the sugar and butter. Beat in the vanilla and egg.. Incorporate the flour in batches until just combined. Bake for 12 minutes. 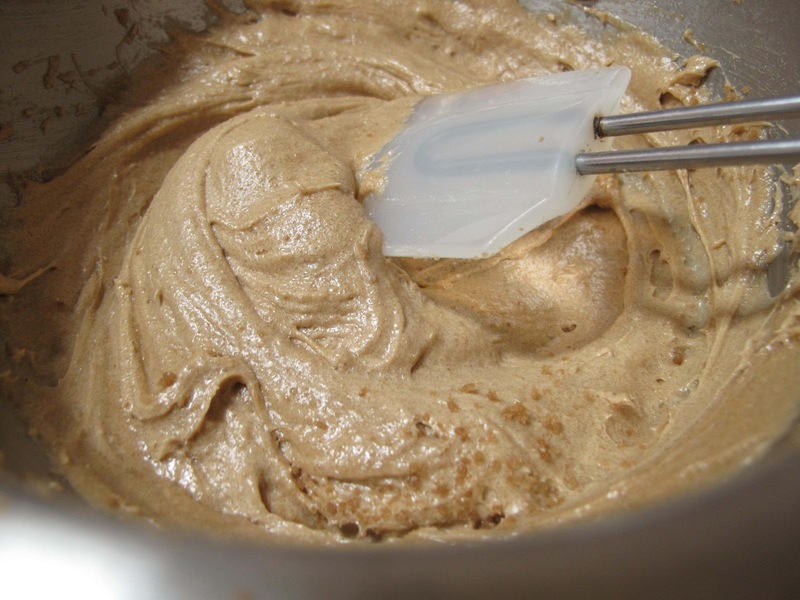 Now make sure you don't over bake them, at the 12th minutes, the bottom should be lightly brown, and the edges will be set, the center will still feel soft. Don't worry once they come out, they will continue to bake on the sheet and firm up. Once completely cooled, put the lemon curd at the center and press the cookies (don't over fill them). And open your mouth wide open, and bit into the cookies. Say mmmmm.....and then come back and tell me about it. Thats call love. I won't exactly call it gifting, but a friend dropped by and picked up most of the cookies to take home while I forced her to leave me some. We are that kind of friends. We are weird people. Even though I'm sending this over to the Kitchens Corners December Cook off, where its all about giving cookies, I wonder if you will judge me. Nice Kulsum!! Beautiful shots! Love coconut, love lemon curd, a perfect marriage! love the refreshing flavors here. I still would lick off the filling, if it was lemon curd. need to make that sometimes. What child didn't love licking the filling in between cookies?! :D mmm coconut and lemon, sounds like a killer combo! This looks HOLY yum..Well I have already told you my initial thoughts on lemon curd but other than that I totally love the coconutty things happening here.Maybe I will sandwich my cranberry jam in between :) Thats called sending over love from Kuwait and squaring it in Vegas ...Whoo hoo! love coconut cookies... a little chewy and sweet. this is a keeper recipe Kulsum. Agree with Soma.. Love the refreshing flavors and the photographs look stunning here Kulsum! Very good job with the lighting n also styling! OMG! DROOOLLLLL!!! This is a beautiful post Kulsum. Wonderful photographs! I remember licking Oreo icing like it was my job! These look 10 X better than Oreos! I echo the other posters - the photographs are phenomenal! Kulsum, these cookies are wonderful. 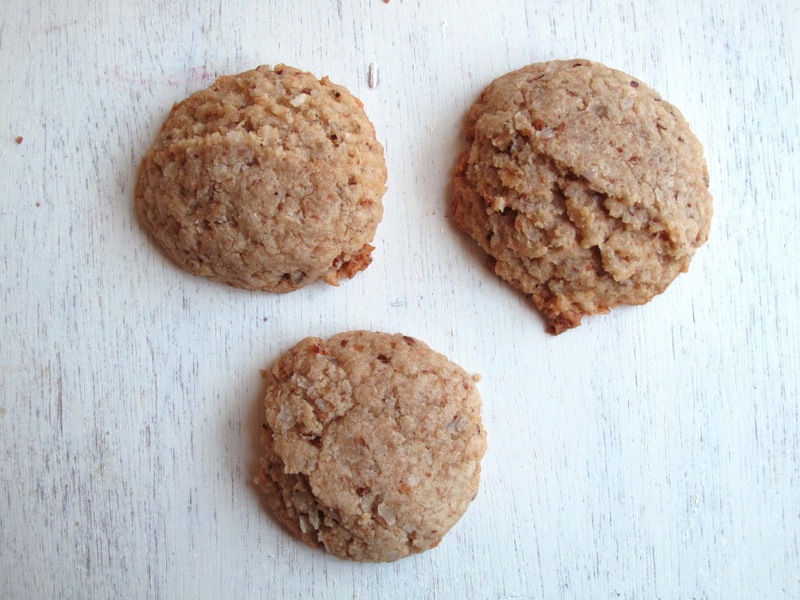 I like coconut macaroons and they remind me of them and have the added bonus of the filling. Give me coconut cookies anytime! I just love the flavor and aroma of coconut. Your filled macaroons are just exquisite! Great recipe!!! We can get coconut easy so definitely must make this sometime. Stunning pictures of delicious looking cookies! Wow, such lovely cookie sandwiches! 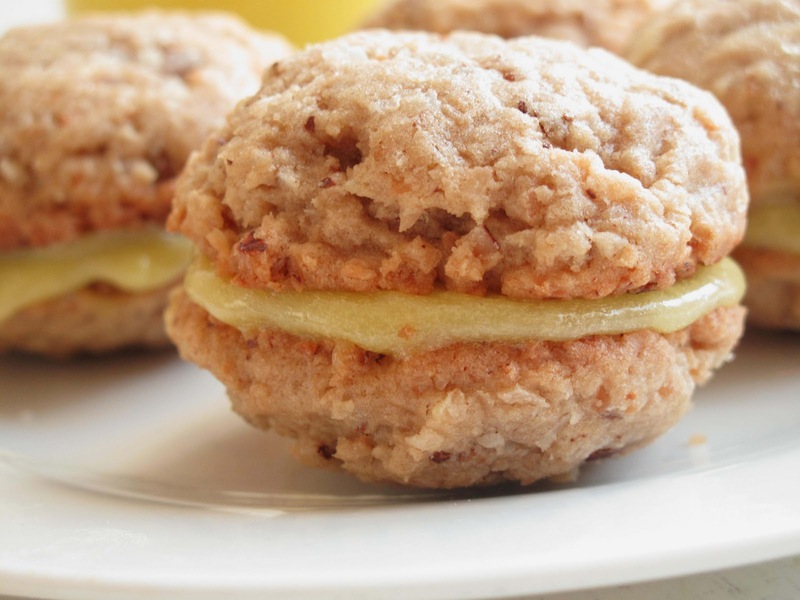 I love the coconut flavor of the cookies and the delicate lemon curd filling sounds wonderful! Yum yum yum! These sound like a perfect treat! I would be licking the filling to if I had one in my hands right now. What a great cookie! Oh yum! Those cookies look so pretty. Absolutely delicious Kulsum...yum! My kids lick the cream off a cookie, a tart, a picture perfect dessert...and make me cringe. For some insane reason I never did, and obviously now I never will. Love the lemon curd, and love the pairing too. WOW!! That yellow lemon curd is mesmerising, beautiful colour well captured. Wow, there is nothing about that that isn't great. And for those who don't like lemon, well, I don't understand them, either. the name got me mouthwatering.. when i saw the pictures i was drooling! MMM. These looks so delicious. I love the flavor combo. 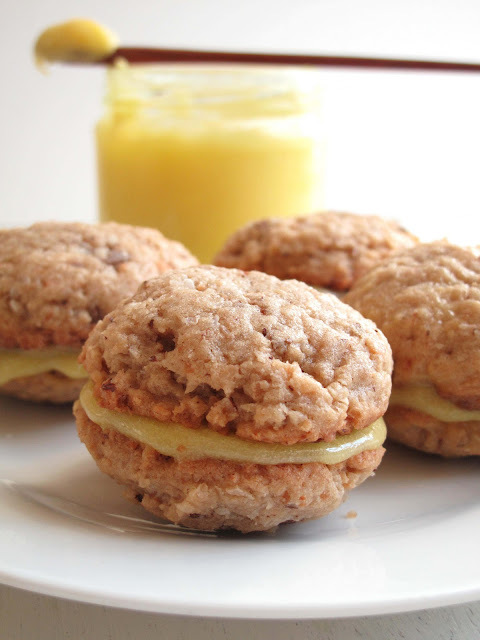 Lemon curd is one of my favorite treats, and I've never thought to use it as a sandwich cookie filling. Yum! What a great flavor combination! I love lemon and coconut! :) Guess I'll be busy making these cookies soon, real SOON! wow..grt combo.....lov cococnut n lemon....cookies looks so lovely..frst time here..like ur recipes..glad to follow u! This cookie is delightful; and the curd in between is brilliant! I am like you in that I dont care for too sweet, such as these mounds of frosting that are mainly powdered sugar in disguise. But this is special and tangy and sweet and nutty and delicious! These sound delicious...lemon curd? YUM. You indeed make it look so simple. both hands and legs raised up, looking ridiculous here but I loved licking the filling till there was none. These look absolutely delicious- going to try them myself! This sounds amazing and I would like to make them... but will have to travel with them. Do they keep for a few days filled, or should I bring a jar of lemon curd with me and fill them just before serving? Pics looks awesome..got tempted and made it today. tastewise they came out really good..but when compared my batter to yours ..mine was little runny and maybe because I melted butter.So when I made cookies..haly way through baking they kind of melted and were flat.Maybe I should have used chunky butter and not melted butter.Big fan of your photography and food as well. Anonymous - So sorry for the late reply but I would suggest keeping the cookies and lemon curd separately until ready to serve. you say 1/2 baking powder, but I do not know if you mean 1/2 teaspoon or tablespoon or what measure? It definitely means 1/2 tsp baking powder. Thank you for pointing that out. Hi thr .. I love the combination of lemon n coconut.. So i gt excited n tried this recipe.. The taste of the cookie was awesome.. Everyone loved it but i must say the cookie was soft..is it suppose to be soft ? hey Karen! They are supposed to be crispy at the edges but soft in the middle. Perhaps a little extra time in the oven would help? Thanks for trying!